When you want the best annuity rates in Denver, you can get that and much more when you contact Income for Life. Our retirement income planners are committed to your success and dedicated to your best interests, so ask us about annuities today. How Do We Find Denver Investors The Best Annuity Rates? Finding the best rate for your annuity isn’t as simple as simply looking at a menu or sorting a list by the highest rate and picking that one. There are a lot more variables than that. It’s possible to provide your particular circumstances to the various insurance companies and ask each one for a quote, but that’s a tedious process when you consider that there are approximately 2,000 annuity options on the market. Furthermore, with so many of them offering further variables, add-ons, and perks, sorting through them to find the right one can be even harder. Here’s how we can help. When you talk to us, explain your situation, and tell us your goals, we can quickly narrow down the list from thousands to dozens, making the choice much more reasonable. Income for Life is among the top 1% of all retirement advisors in the world, so you can count on our experience and skill in guiding you to choose the right option for you. When you choose Income for Life to help you with retirement planning, we’ll go far above and beyond merely pointing to the annuity with the best rates and sending you on your way. Here are just a few examples of what we can do for you. Listen to someone who can educate you on your options and explain them to you in human-friendly language. 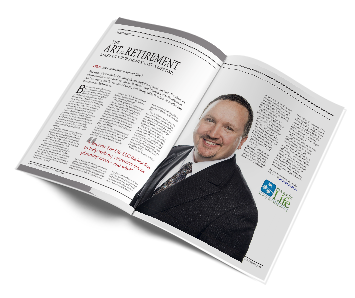 Get an advisor who can bring many creative solutions to the table to help you to maximize your retirement income. Navigate the complex waters of annuities with ease – it’s like the difference between riding in a motorboat and slogging through a swamp. Discover how answering two crucial questions can guide all of your retirement income choices. Don’t let your money sit in a savings account for lack of an advisor to guide you in the best place to put it. Get in touch with Income For Life. We look forward to serving you.